I got all this in the post today. 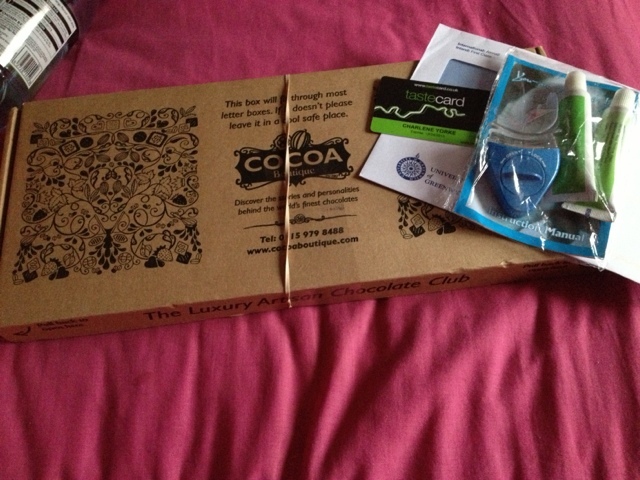 A box of chocolates from Cocoa Boutique which I won as a taster back in September (read my post here), I got my teeth whitening kit, my taste card and a little from Greenwich University. 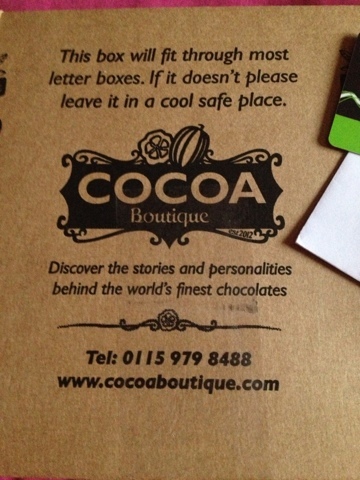 I will write a review on the cocoa boutique chocolates later once I've washed my hair and so on. Some of them are beautiful but as normal with a box of chocolate there are them chocolates that you really want to spit back out. You will have to wait and see my review later... I'll also have some links and maybe a discount code if I can find out. Update: I can't even eat one of each chocolate because it is far too many calories for one day. I'll write the review once I've had one of each. I am so happy I got my taste card today, it expires on the 13/04/13 and I'm pretty sure I'll get the full membership. My friends always call me to go for meals and I'm like 'I only work part time I don't have money to waste on food' well now I do. 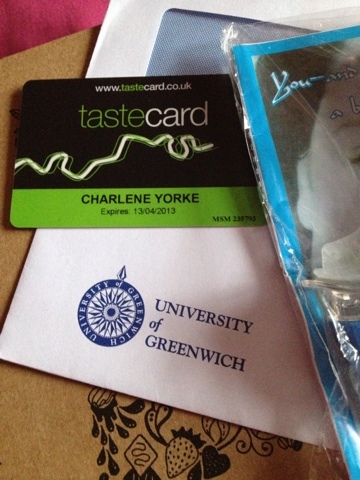 The taste card gives you discounts and special promotions at many restaurants in London. I am looking forward to trying new places. I am a big foodie! I got a letter from Greenwich University. It was my last choice of Universities and I really put it down because I didn't want to only apply for two (East London & UCB) The letter said they had my application and should get a reply in 4 weeks but I got the reply today... "unsuccessful" a part of me was annoyed but a part of me was like "thank God, I really didn't want to go there!"